Foundational supplements for optimum hydration, healthy immune system function, and energy medicine support. Click Here to find out how to receive 2 for 1 on all qualified products and for important information when using the online shopping cart to order The M-Power® Perfect Health Program. 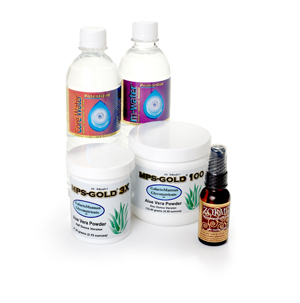 Our approach to holistic healing, with the goal of restoring the highest level of health possible. This product combination combines powerful support to the immune system and optimizing cellular hydration. When these two effects are combined the outcome is the most effective approach to anti aging in the world today. At a foundational level healing and health are directly related to the frictionless flow of chemical, energetic and electrical information from cell to cell, which is by definition super coherent. Most healthcare approaches do not even accomplish coherence. By establishing a super coherence the cells can live in a high energy, high oxygen and perfectly balanced messenger chemical environment. Many people report that using the Health Breakthroughs foundational program of natural supplements has done more for them than all other supplements combined over many years. Within a few weeks of taking the natural supplements in the M-Power Perfect Health Program, you will notice a dramatic difference in how you feel and your treating physician will most likely tell you about improvements if you are suffering from some sort of chronic condition. Bottom line is that the M-Power Perfect Health Program is the ultimate approach to restoring health, resolving chronic conditions and the anti aging/life extension solution. Please refer to the individual listings on the home page to read product descriptions. Please refer to the individual listings on the home page to read directions for use.